Try a Watermelon Margarita Recipe, Easy Spiced Watermelon Margarita Recipe and our Watermelon Cherry Rum Cocktail. So yummy! 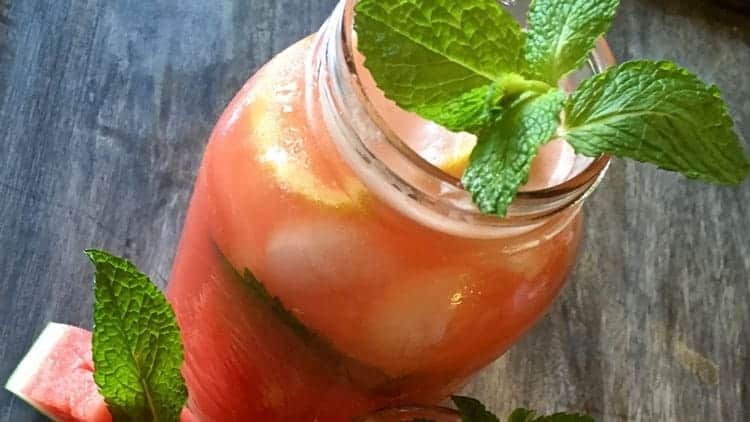 Watermelon Mint Lemonade is the perfect drink to serve with all the good summer meals you’re planning to make this summer. 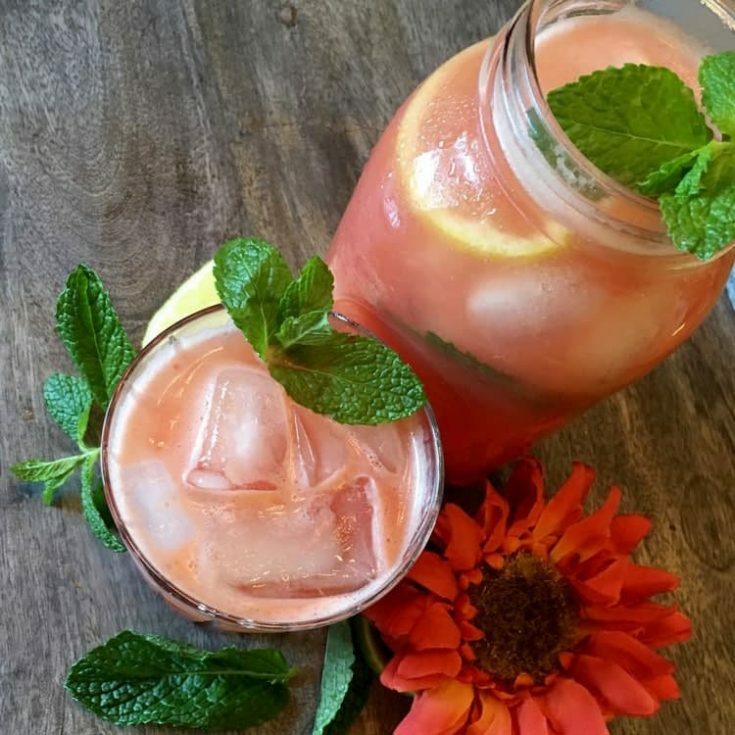 It is an amazing lemonade recipe to have on hand, and since we’ve tried a few great fresh lemonade recipes as of late…we know what we’re talking about. 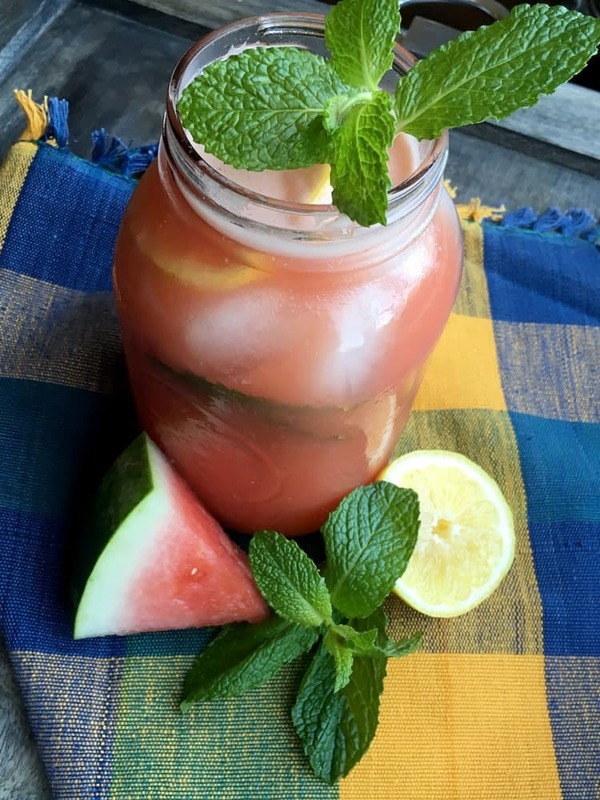 This watermelon mint lemonade is super easy to make and is so refreshing on a hot summer day. Mint is so flavorful and refreshing. If you’ve never grown mint in an herb garden, you’re truly missing out. It is such a good herb to have on hand to add into all you summer beverages. We’ve all heard of Mojitos. Well, mint recipes don’t end there. We’ve got Peppermint Martinis, Mint Chocolate Ganache, and we can never get enough The Best Homemade Mint Waffles Recipe. Mint is where it’s at. Plain and simple. This is one of those recipes you’ll want to tinker around with to find the right flavor combination for your tastes. For example, the amount of water you need to add will vary depending on how juicy the watermelon is and how strong you want the flavor to be. 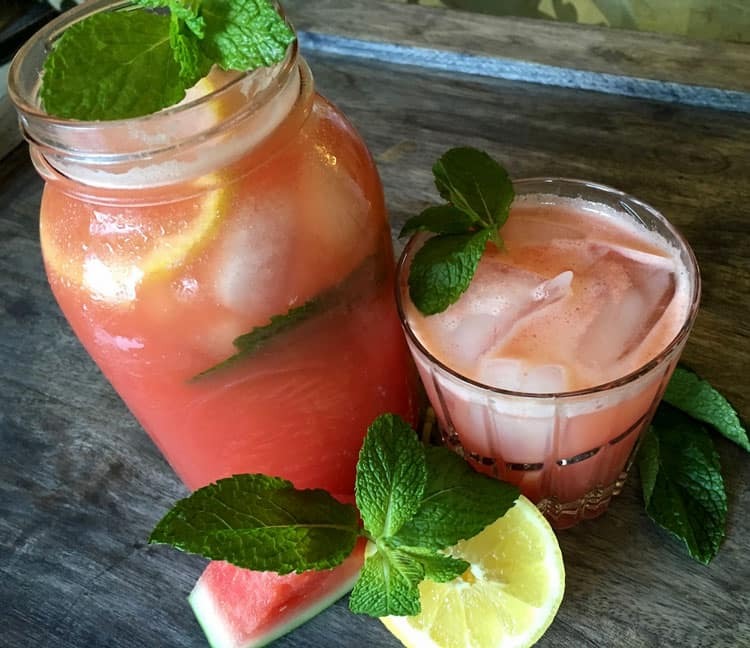 Watermelon Mint Lemonade recipe is a refreshing homemade lemonade drink that is perfect for summer sipping. Enjoy these summer flavors all year long. To make the simple syrup, add the sugar, water and crushed mint leaves to a small saucepan and heat over medium-high heat. Stir until the sugar dissolves completely. Reduce heat to low and simmer for 10 minutes. Remove from heat and discard mint leaves. Cool completely before using. Add watermelon chunks, lemon juice and ½ cup cold water to a blender and blend until liquefied. Pour through a fine mesh strainer to remove any larger particles. Taste and add more water, if needed. Sweeten with mint-infused simple syrup, if desired. Bruise ½ cup fresh mint leaves with fingers to release oils and add to the bottom of a large glass pitcher or jar. If serving immediately, add ice cubes to the container and pour the watermelon mixture over top. Add fresh lemon slices to the container for garnish. To serve, pour over ice and add a sprig of fresh mint and a lemon slice for garnish.